Depending on who you ask this question to, you will get a different answer. Some people choose to do a postgraduate degree out of necessity, some don’t have to do one it but embark on it for numerous reasons. In the course of writing my book ‘1000 Years of Career Advice’, I interviewed 8 30something year olds about their postgraduate degrees. Using those interviews, this blog post explores the pros and cons of doing a masters, questions to ask yourself before deciding on whether to do one, and the best time to do a postgraduate degree. You may spend your time researching something that really interests you with like-minded people, presenting your findings, etc, but will this make you more employable? On the other hand, if you like researching in your undergrad, maybe a career in academia is the one for you? While it can do this, what are the requirements for the jobs you will be applying for? If it’s a 2.1 in an undergrad and some relevant work experience then having a masters won’t differentiate your CV in a way that matters. If you have a clear idea of what you want to do, i.e. doing a Ph.D., passing professional exams, changing career paths, then it can be a great way of attaining an end goal. Often, some of the afore-mentioned are difficult to get without some sort of postgraduate degree. The smaller size of the class in a postgraduate degree is much more conducive to learning, possibly because there is no hiding and you have to listen! Many studies you will find on the internet suggest that having a postgraduate degree graduates earn considerably more than their undergraduate counterparts. I’d be very wary of listening to these studies. In the majority of jobs, an undergraduate will be paid just the same as a postgraduate student (as the people who I’ve interviewed for this topic have said). However, there are technical jobs that if you have a postgraduate degree you are going to earn more i.e. a specialist IT masters is going to up-skill you so that you can command more salary, an engineering project management masters means that you may have two professional qualifications at the end of it. Before you decide to do a masters, check out what entry level positions in your chosen field get, and see is there any uplift for a postgraduate qualification. Often you will find the person, who has a year or two more work experience will have more chance of getting more cash. There is a myth that a postgraduate degree is like an undergrad degree, it could not be more different. Your friends will be out earning money, whereas you will be paying money to not only continue on studying, but to do it 9-5 Mon to Fri, plus assignments and project work to do at weekends. I think students have no idea at how hard and long a slog a postgraduate degree is, your first year working is really a cake walk in comparison! If you do decide to do a postgraduate degree, this may mean you are really broke and dying to get out and earn a bit of money. This pressure might mean you leave travelling on the long finger. Lots of my friends in their 20’s were busy working away, and living for the weekend. They said they would have loads of time to go travelling, but sure enough they are 30 now, and apart from the odd exotic two week holiday they haven’t seen much of the world, and now weddings and kids have taken over. Don’t pass up the chance to go travelling, it may never come your way again!!!! Q) Is it worth the cost? Are you happy being a poor student for another year while your friends earn some money and have a good time? Will what you can command in salary afterwards be enough to pay off your postgraduate degree/extra year in college fees? Or is this £10k plus that you will never see back? Q) Will prospective employers really care that I did a postgraduate degree? Unless it specifically gives you knowledge / skills to do a certain job, will a prospective employer really care? You have already shown you are able to learn to a high level in your undergrad, and you will be up against people who have spent that year working somewhere gaining valuable on the job experience. If 5 people go for a job, and 3 of them have experience as opposed to 2 people who have just done an undergraduate degree and postgraduate degree back to back, experience may be the deciding factor in who gets the job. Q) Why am I doing this? What are you doing a postgraduate degree for? Are you putting off going out and getting a job? Is it a stepping stone to something else? Is it a way to change your occupation, develop your research skills, progress onto a Ph.D., to specialise in a particular area? If the answer is no, then you may well end up back to square one i.e. graduating with a degree but no real idea what you want to do job wise. If you are struggling to come up with answers to this question, ask yourself ‘Why’ 3 times, and see can you get to the real reason you are doing it. Q) Do I know what I’m signing up for? Q) Do I know what kind of job I want to work in? If you don’t know what job you want to do after you come out of the postgraduate degree, then I’m not sure it’s the best use of your time or money. You may learn more about a subject but who is to say you will like it, or want to work in it? I really think you will get a more out of working for a couple of years, seeing how the working world works and then picking something to study further. Students that come out of undergrads usually don’t know much about the different jobs out there, what is interesting/boring, what pays well/what doesn’t. Without knowing it’s difficult to pick a postgraduate degree that is suited or geared towards the working world. If you have worked for a few years and have some insight into jobs/industries it’s less of a gamble picking a postgraduate degree to do. Also, if you pick a postgraduate degree after a few years of working, chances are you are pretty passionate about the subject area. I bet you lots of students who choose to do a postgraduate degree straight after their undergrad wouldn’t use passionate to describe how they feel about the subject area. Q) Am I definitely going to be working in this area? If you can’t answer this with a high degree of certainty, then I think you should think about doing a postgraduate degree long and hard! A less risky option would be to get some experience working, you can always do a masters after a year working! 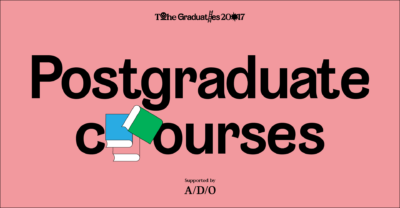 WHEN IS THE BEST TIME TO DO A POSTGRADUATE DEGREE? However, you shouldn’t pursue a masters thinking it’ll put you ahead of your peers or use it as a delaying tactic. Unless you have a defined end goal in embarking on the masters, spending some time in the workplace may be much more beneficial. Others want to get out and earn a bit of money, pay off debt, save for a flat, have money to go on holidays, or simply they are sick of studying. These people if they do go back to do a postgraduate degree will generally pick one that they are very passionate about or one that is a specific means to an end once they gain some practical knowledge of the workplace. I hope the above has helped you figure out whether or not to do a postgraduate degree. For more info on postgraduate study, check out my interviews below with people who have done a postgraduate degree. I’ve love to hear your thoughts on the above, do leave a comment, or if you have any questions that I may be able to help with, send me a message using the details in the contact section. Thanks!